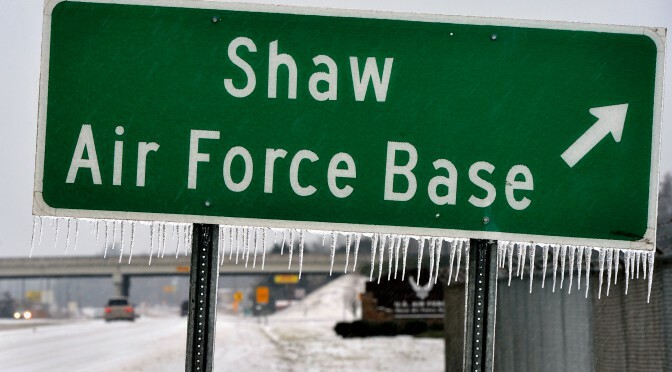 Shaw Air Force Base is located about 40 miles east of Columbia, South Carolina, the state capital. The base is centrally located in the state of South Carolina with many points of interest within a reasonable driving distance. The Atlantic Ocean is 2 hours away with miles of beach available for vacation and recreational activities. To the east, Myrtle Beach and Charleston await you, with wonderful seasonal activities and great southern food. To the North you can enjoy cool mountain breezes or go white water rafting. Sumter, named for the Revolutionary War hero General Thomas Sumter who made his home here, has a spiritual communion with its past without being consumed by it. His tomb, a national historic site, is just one of the many treasures for local and visiting history buffs. Many retired military veterans who were stationed here at Shaw during their career are so taken with the area that they settle here permanently making Sumter's populace a seasoned and worldly group. Sumter today is one of the most economically balanced areas in the U.S. with a diversified income ranging from frozen foods to furniture, tools, paints, chemicals, medical supplies, heavy equipment, and high-tech electronics. Housing is inexpensive by national standards; and property taxes are correspondingly low. The population rates are: City of Sumter, 42,000; Sumter County, 104,400; primary trade area (30-mile radius), 277,830. Shaw Air Force Base ranks as one of the oldest installations in the Air Force. Construction began at Shaw Field on June 27, 1941. Lt. Col. Burton M. Covey, Jr. became the first base commander on August 30, 1941. Shaw Air Force Base is named in honor of 1st Lt. Ervin D. Shaw, a Sumter County native, killed in action during World War I while on a long-range reconnaissance flight behind enemy lines. Today, Shaw Air Force Base is the home of the 9th Air Force Headquarters and the 20th Fighter Wing and is the largest combat F-16 fighting wing. The 20th Fighter Wing's Mission is provide Combat Ready Airpower and Airmen to Meet Any Challenge, Anytime, Anywhere. The base community consists of more than 5,400 active duty military members, 11,000 family members and more than 600 civilian employees. The 20th Transportation Squadron provides taxi service on base for official business only. Your safe arrival to Shaw Air Force Base is very important to us. Moving can be very stressful whether you are single or married. Please ensure you have secured a sponsor from your new unit prior to arrival. This individual is specifically assigned to host you and help ensure your transition into Shaw Air Force Base is a smooth one. Sponsorship is for single and married, military members and civilians with orders to report to Shaw. If for any reason you have not been assigned a sponsor, or if your sponsor is not available and you are experiencing any difficulties, please contact your unit or the Shaw Air Force Base Airman and Family Readiness Center, 803-895-1252 or DSN 312-965-1252. If you arrive at Shaw after hours, and your unit is not a 24 hour operation and you need immediate assistance please call the command post 803-895-5850. They will be able to contact your unit's First Sergeant who is also available to assist you. You may temporarily use Shaw's general delivery address to have mail forwarded. The post office on base will hold your mail. Depart Columbia metropolitan airport via Airport Blvd, Exit to I26 East to Charleston, Exit to I77 North to Charlotte, Exit to US378/76 (Garners Ferry Road) to Sumter, Follow signs to Shaw AFB. Entire trip -- approximately 40 miles/1 hour. Taxi service is available from the Columbia Airport to Shaw AFB for approximately $65. For most, this includes up to five people without additional charges. 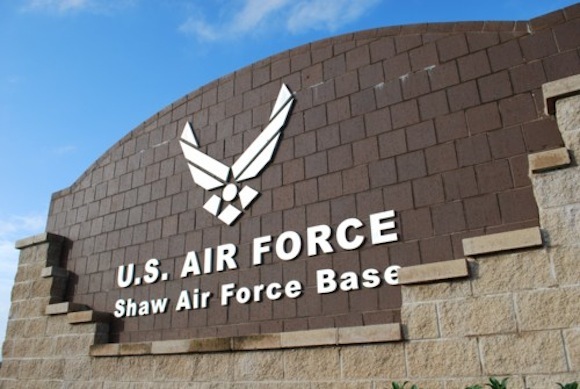 Shaw AFB is located north of US 378, approximately 10 miles west of Sumter, South Carolina. US 378 traverses the state, east to west, from Conway on the Atlantic coast to McCormick on the Georgia border. It is accessible from interstates 20, 126, 77 and 95, as well as from most other major US and state highways. Greyhound Bus Station closes at 11:00 pm. If you arrive at the station at that time, you will be responsible for your own transportation. If you have arranged for transportation, make sure you are picked up on time. The bus station is not equipped with proper outside lighting and has no security for you or your luggage. However, there is a local gas station down from the station. There you can make payphone calls or ask for information and directions. If you arrive at Shaw during normal duty hours, Monday through Friday, 8:a.m. to 4:30 p.m., you should report directly to your gaining unit's commander's support staff. If you arrive during non-duty hours, report to the 24-hour Base Lodging Office located 464 Myers, 803-895-3803. On the next duty day, you should report to your gaining unit. If you do not know where your unit is located, report to the Military Personnel Flight, Monday through Friday, 8 a.m. to 3 p.m. located at 504 Shaw Drive. No listings found for Shaw Air Force Base.